Soon after Republican Sen. Jeff Flake announced he'd vote to confirm Kavanaugh, two women cornered him in an elevator as he headed back to the Senate Judiciary Committee. WASHINGTON (AP) — Emotions ran high in the U.S. Capitol Friday over the Supreme Court nomination of Brett Kavanaugh. Soon after Republican Sen. Jeff Flake announced he’d vote to confirm Kavanaugh, two women cornered him in an elevator as he headed back to the Senate Judiciary Committee. Another woman said Flake was allowing someone who “violated someone” to serve on the Supreme Court. Both women cried as they spoke to him. Flake did not respond. He looked at them, and looked at the ground as he listened. 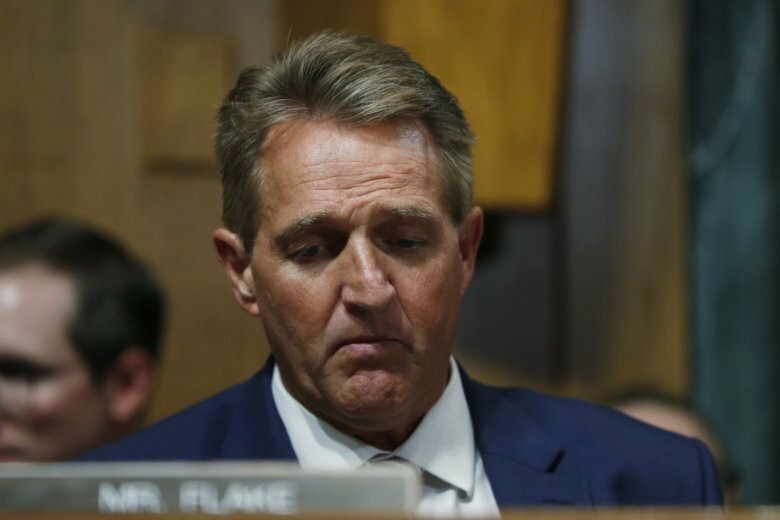 Eventually a member of Flake’s staff said they needed to go and the doors closed. A committee vote is set for 1:30 p.m. on whether to recommend Kavanaugh’s confirmation to the full Senate.